Clara Remacha, current participant of the International Master in Management in EADA, explain the reasons why companies value sportspeople when selecting a suitable candidate for a managerial post. Today I would like to comment on what I believe to be the two most powerful qualities that can influence a prospective employer when a sports-minded person applies for a managerial position. Let’s see how we can make a difference in today’s organisations. First of all, think about the ability to deal with pressure. As an athlete, one experiences plenty of stressful situations and spur-of-the moment decisions that can change the course of one’s career. I have certainly found it character-building to have to work under pressure. It is like learning a new language. The more you practise, the more comfortable you are with it. 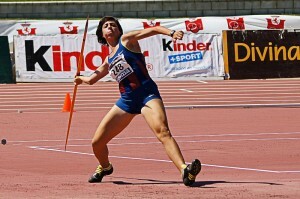 In 2008, I was at the Spanish Championships in Almería (Spain). During the whole two days, another athlete and I had a tough and demanding competition until the last event: the 600m. We were only 17 and both of us had the chance to surpass the Spanish Record, which was nearly 20 years old. At this point, the race wasn’t about doing your best, but about adopting the best strategy. The winner would be the Spanish Champion and would own the Spanish Record. Speaking from experience, I can assure you that what you feel hours, and even minutes before the race is pressure. The race started and we positioned ourselves at the back of the race. The speed and the rhythm were not important, the crucial thing was knowing the right moment to change our strategy. Because we were running so slowly, the pressure of when to change the speed increased, but 400m from the finish line, I was the first to make the choice. At the end of the race, I realised that that was not maybe the best choice; but no one knows what could have happened otherwise. My rival had enough strength at the end to overtake me and we ended up with an insignificant difference of 5 points on a score of 4,076 vs. 4,081 points. We both beat the Spanish Record and we always remember this competition as the best we ever had between us. We both started learning what pressure really was that day and we continue to experience it in many competitions. This experience is very valuable within an organisation. We are now prepared to overcome a crisis in a company with the same composure as if it was a normal day, and we are used to having only one chance after months or years of work to perform as best as we can. In any project, there’s always the D day and the H hour where you, as a manager, have to excel. And here is when the nerves and the pressure come in; therefore, an athlete can provide that “extra something” at such moments in any position of responsibility. However, it’s not only in such a crucial moment as this that a sportsperson can make a difference. Let’s move onto the second topic of today: short term – long term vision. As I’ve mentioned above, the last moment is important, but only as important as the work that has been put in to arrive at the final point. The manager’s job has a lot to do with planning a sports training program. As athletes, we set objectives at the beginning of the season, and we design a “plan to get there” with our coach. This plan is made by focusing first on the long-term (what we need to achieve) and then in the short-term (how are we going to do it). Both visions are equally essential. A manager with a sports background is able to have these two views: the ability to recognise where the company needs to go (L/T) and set objectives based on that, and the steps needed to get there (S/T) and perform on the D day at the H hour, when the pressure appears again.